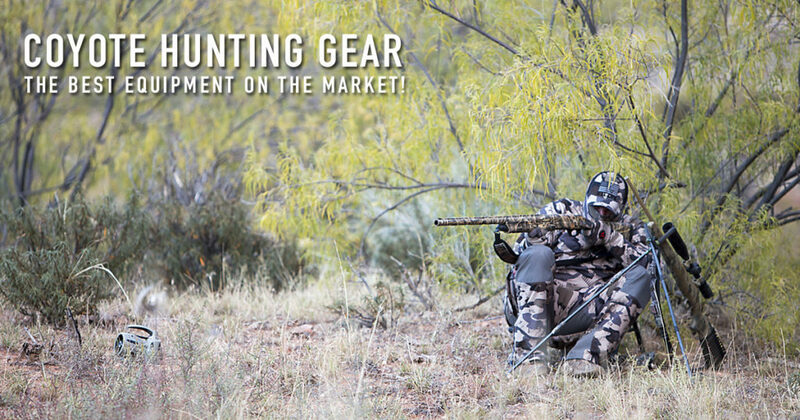 Choosing the right equipment for hunting predators is pretty critical to your success. I’ve tried to take out some of the thinking for you by my experiences through trial and error. I still recommend that you test out different accessories and products so you create your own comfortable way of hunting. I have used or currently use all of the products on this list of varmint hunting supplies. Here’s where to find Us: Subscribe to our YouTube channel, Follow us on Facebook, and on Instagram! For several years I’ve had the luxury of field testing a ton of products. I’ve used almost every call on the market and tested them out in the field. I prefer to hunt with a mix of mouth calls and electronic calls. E-calls take the source of the sound away from you, making it easier to position yourself for a kill shot. The predator will focus their attention on the sound source most of the time. We’ll cover more information on how to use electronic calls in part four of this series. With the release of the Lucky Duck game calls comes a new level of professional calls. They are the best I’ve ever used. I cannot recommend the Revolution highly enough. I would place the the CS24C in as a close 2nd. Check out our hunts this week by following us on Instagram, and you’ll see what calls we’re currently using. If you’re on a budget, I like the Lucky Duck Rebel, the Foxpro Deadbone Game Call (see the full review of the Deadbone), or the ICOtec GC300 Electronic Call. I like the Lucky Duck, and Foxpro Sounds a lot, that’s why I highly recommend their callers. 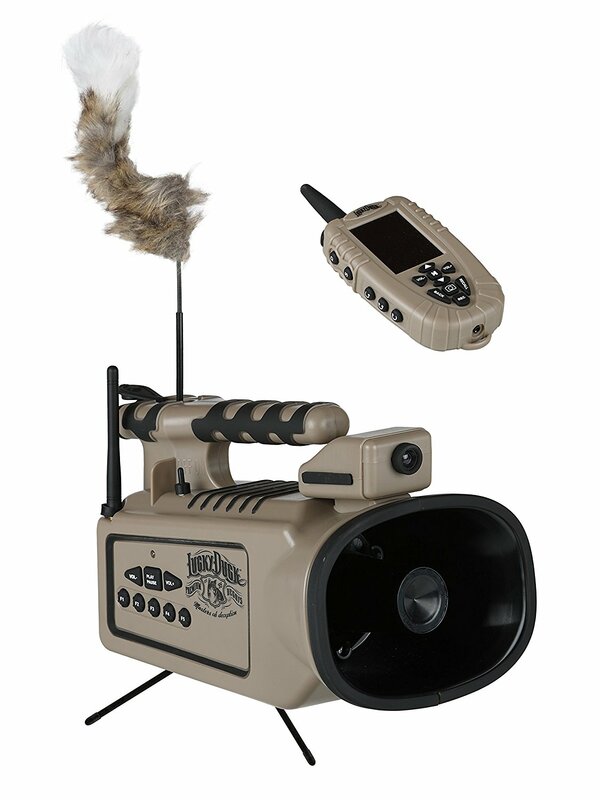 If you want a better remote and more animal sounds for less than $200, get the FOXPRO Inferno with 75 sounds. If you want to see my detailed reviews on every e-call on the market, make sure you subscribe to the email list, and be the first to know! Coyotes are cautious when they are coming in to a call most of the time. They want to see something associated with the sound they are hearing. If they can’t see anything they will generally work their way down wind of the sound source. If they see something moving, and don’t see another predator or threat to their survival they will oft times charge the decoy. Get ready for fast action! When not using a Lucky Duck Call, my favorites include the Mojo Critter 2, Mojo Super Critter (I use this almost exclusively now when mouth calling), and any of the FoxJack Decoys. The Primos Sit N Spin Crazy Critter is a bargain if you’re on a budget. ARTICLE: When Should You Use a Decoy for Coyotes. There will be endless debates on what to use for Coyotes. The primary calibers are .204 Ruger, .223 Remington, .22-250 Remington, and .243 Winchester. There are numerous other calibers used and I cover that in another article. If you’re looking for a predator rifle, check out the article below comparing over 100 models on the market. Here’s what I prefer to do, I use an AR-15 in a .223 caliber (toying with a .204 Ruger at the moment). In theory, the AR platform allows for quick follow up shots increasing your odds for doubles and even triples. I can attest that it also increases your odds of rushing follow up shots! ARTICLE: .22-250 Vs. .223: What’s The Best Coyote Cartridge? Most competition callers use a shotgun and an AR15. Using two weapons on stand is an advanced technique that I wouldn’t recommend until you’ve killed several coyotes with a rifle, and several with a shotgun. Juggling two long guns will be a challenge all by itself, I wouldn’t try it until you’re comfortable with coyotes responding to the call. ARTICLE: The Fine Art of Shotgunning Coyotes. ARTICLE: Patterning Your Predator Shotgun in 10 Steps. ARTICLE: Double Trouble: Shotgun and Rifle. ARTICLE: Predator Hunting with a Shotgun. This topic demands more than a short paragraph. I have plans to make a series of videos about ammo for coyotes. The biggest decision I believe is determining if you want knock down power or fur saving potential. With my .223 I’ve found a good 40 grain V-Max load that I really like. It has a good balance of knock down power and fur saving capability assuming I have good shot placement. With a shotgun most guys are using #4 buckshot, but there are so many opinions on this, I’ll leave it alone until later for a larger article. I won’t go out without shooting sticks anymore. One trip without sticks leaves you regretting it and usually no coyotes in the back of the truck. Sticks or a Bipod are more important than anything you can bring on a predator hunt. I Like sticks more than a mounted bipod because I often hunt areas with rolling hills and bipods are hard to use on anything other than flat ground. I like the taller tripods for night hunting situations, with a hog saddle. They break down for smaller day applications which is nice. I like the Bog-Pod a lot, and Vanguard makes some nice sticks too. If you prefer a bipod, don’t go cheap! The newest sensation on the block has been the Swagger Bipod system, and they make a quality product! If you want something more traditional get the Harris S25C Bipod that allows for some side to side movement, and works well in the sitting position. There is a huge ground swell of hunters switching to a tripod for support. Al Morris has been seen using these sticks from Bog Pod. I’m not sold on them yet as coyotes tend to come in from any direction. Using a tripod requires a lot of movement if a dog doesn’t come in favoring your setup position. Check back as we are planning on testing more products this year including several tripod supports. Sit in the snow and get a wet backside just once, and you’ll never go without it again. Seats might seem like a gimmick, but they will make you more comfortable on stand. After 20 minutes of holding still you will realize your leg is dead, and if you’d had a nice seat, you’d be walking back to the truck, instead you are limping around like a girl (unless you are a girl, and we know they’re tougher than boys!). Find a camo pattern that works for your area. Just remember that you’ll be hunting in the fall and winter most of the time and nature’s bright colors will fade, and you’ll want something a little darker than you might think. Go take some pictures of the terrain you like to hunt, especially from the coyotes point of view and then try to match the tones from your pictures. I really like King’s Desert Shadow for my area. The Mountain Shadow is great for timber areas as well. 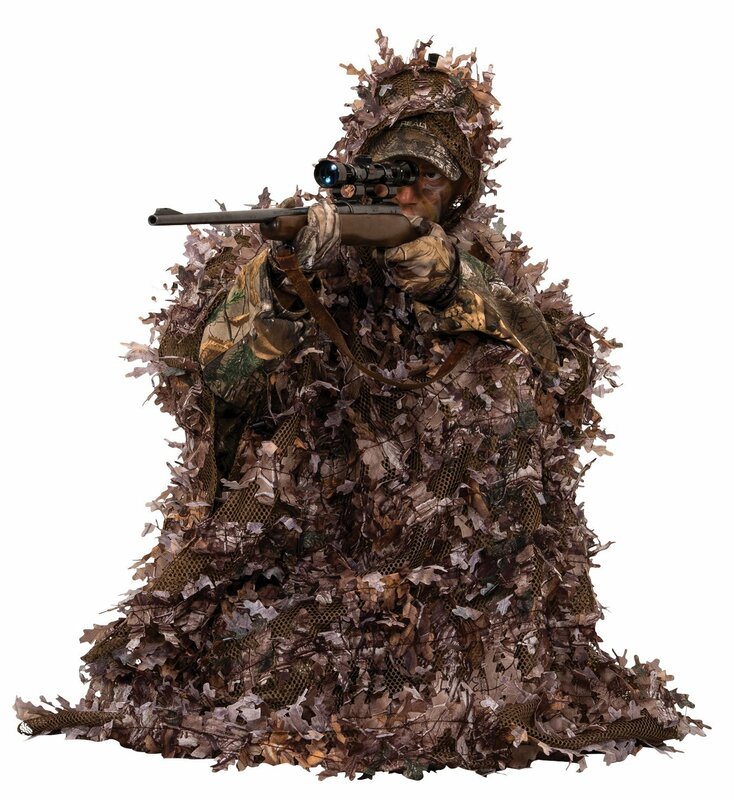 Another great option is a lightweight, breathable mesh style ghillie suit, or 3D leafy suit. I prefer to use one without pants and in a poncho style. They don’t pick up sticks and twigs, making upkeep easy. The traditional ghillie suits can be heavy, warm, and they pick up debris easily. The picture is linked to a suit I’ve used and seen from other hunters. There are many styles in woodland, desert, and snow. You move your hands more than anything else on stand, make sure you cover them. A light skin tone will stand out to an approaching predator, and if you have the sun on you at all, it can be a dead giveaway. I prefer a lightweight glove, usually with a dot grip. These are great for where we hunt because they are thin and cool. You may need a couple of pairs depending upon temperature and time of year. I keep a cold weather glove in my bag, I’ve used both of these, and would recommend either of them. I would also recommend a face mask. There’s nothing more obvious than a large human face staring out at a predator. If you aren’t tucked into the shade they will know something is up. I like a good flex form mask that you can easily pull on and off. If you wear a hat, get the three quarter mask. No hat, get a full face mask. See Also: ARTICLE: Organizing Your Predator Gear. In order to store all of my gear, I have a Scorpion Range Bag. They are perfect for all of my calls, ammo, batteries, and other accessories. I won’t go without an electronic wind checker, these things are awesome! Unless you vape, get one of these. Get some High Quality Boots! At the end of the day you’ll be glad that you’ve got a good set of hunting boots. These Darn Tough Socks are so comfortable and they don’t stink! I’ve worn them several days in a row and I won’t go without them now. They don’t add a lot of warmth, more of a comfort sock. A Smart Wool Base Layer is another must have once the temps drop. Again, I’ve worn them for a couple days on a long hunt trip and they don’t stink, and they are extremely comfortable! A good pair of sunglasses is critical for me. Especially if you’ve got some snow on the ground, you don’t want to burn your eyes! A Laser Range Finder will help you gauge distance before you start calling, and if a dog comes in slow enough or hangs up you can also range them at that time. Nice to hang around your neck, and good for big game hunting as well. A Handheld Monocular is a smaller option that I like to use when I’m hunting areas that have big openings. Rather than moving my gun to check movement or a coyote bush, it’s easier to lift a small monocular to check. Once you acquire your target and you need to zoom your scope, a simple Throw Lever can help you do it quicker and with ease. Once you get a dog down, save yourself a little energy and use a coyote drag. This will save you time and energy and keep your hands from tiring while putting fur in the truck. We cross a lot of fences, and I keep a T-Post Stepper on hand to help us do it faster. Just be super careful with these, keep a hand on the post at all times! Not sure where to put this, so I’ll say it here. A Wheeler professional reticle level system is a super useful tool to get your scope on correctly. Get yourself some Slip 2000 EWL and forget about having your gun freeze up on you in cold conditions. This stuff really works! A Bore Snake and Fat Wrench are always useful and in my bag on every hunt! Part 1: Coyote Hunting Tips Intro. Part 2: Coyote Hunting Gear. Part 3: How to Find Coyotes. Part 4: How to Call Coyotes. Part 5: When to Hunt Coyotes. Part 6: How to Hunt Coyotes at Night. Great article you covered everything for someone just beginning to a pro. Thinking about getting started in coyote hunting mainly because of the over population of them here around home. Love rabbit hunting and we see less and less rabbits. I guess biggest question I do have is here in Kentucky were I will be hunting not lot of open ground it is pretty thick what do you think would be best gun for hunting? Again thanks a lot for article so glad I came across it. do you have any free decals? You can get a “Vastfire” light and mount for about 30 bucks on Amazon or Ebay. Good for around 300yrds. This function has been disabled for Coyote Hunting 101.